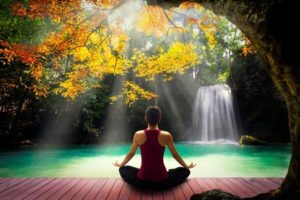 Science is finally merging with what spiritual Masters have claimed all along-that the healing powers of meditation actually alter consciousness. The brain vibrates at different frequencies through out the day, and at night when we sleep. When we are relaxed, and in a meditative state, we begin to take control of our reality which is made up of our thoughts and beliefs. Guided meditations and visualization exercises will help you become the conscious creator of your life.